Everytime i run it, i get error at line : app.createSession(); it says something like it could not find ASC configuration …. Do I miss some configuration some where? How to make console program works? The code snippets above use CBO functionality which is used by Amdocs CRM application. While CBO initiates its operation, it looks for an initialization configuration file named ‘clarify.env’. This file contains several important definitions, such as JDBC connection information, which are mandatory for its operation. One of the parameters included in clarify.env tells the application the location of Amdocs System Configuration (ASC) data. 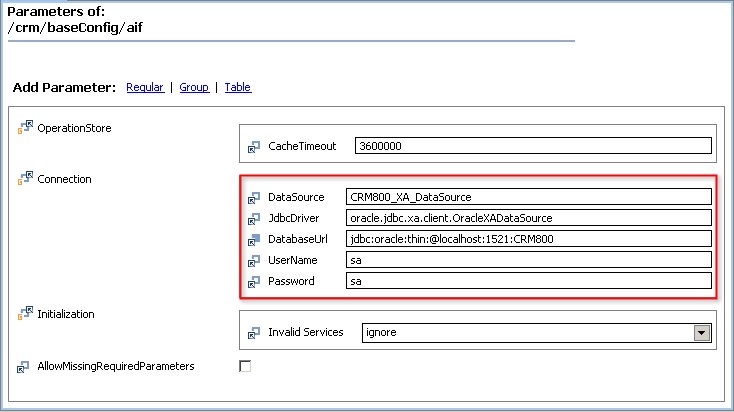 This data can be located either on disk as XML files or stored in the database instance indicated by the JDBC connection parameters. (Windows) – we need to make sure this path is included in a system variable named ‘PATH’. Once CBO understands where the data is located, then it looks for certain parameters within these data to determine its connections with CRM database (and possibly other database instances used by other applications). regardless the location of the ASC data (on disk or in the database). #    Used here to read from file. In order to run a console application, you do not need the full clarify.env file, since some of the parameters above refer to an application server (Weblogic) environment. JDBC connection parameters, required for some initialization work (I.e. access and search ASC data). ASC files location on disk. Omitting this parameter means that the ASC data is stored in the database instance indicated by the above JDBC parameters. The location of CRM parameters within the ASC data. The location is indicated by a node name. Defines whether the database is Unicode. Connection parameters used by Classic client or console applications. Use the ASC editor (an eclipse plugin) to manage (view / edit) the CRM database connection definition. 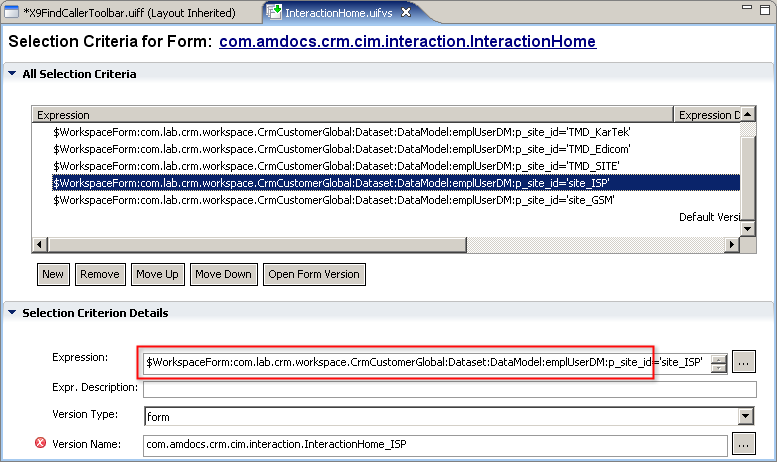 As mentioned above, the CRM root node is defined by the clarify.env parameter ‘crm_config’. A Smart Client form can define a Launch Action to allow manually launching another form in the workspace. This action is used if the form launch is based on a process running on the server. This is typical to a Wizard Form which requires the process state to be maintained and communicated to either the launching form (or other forms subsequently posted) that might continue the process. The Order Management process is a good example for process driven UI. This action is used if the next form to be posted depends on a UI driving service. This action is used to drive a client side script player. The process that maintains the state and drives the next form to be posted is a client side light weight process. The client who runs this light weight process is Amdocs Process Manager (APM) client. 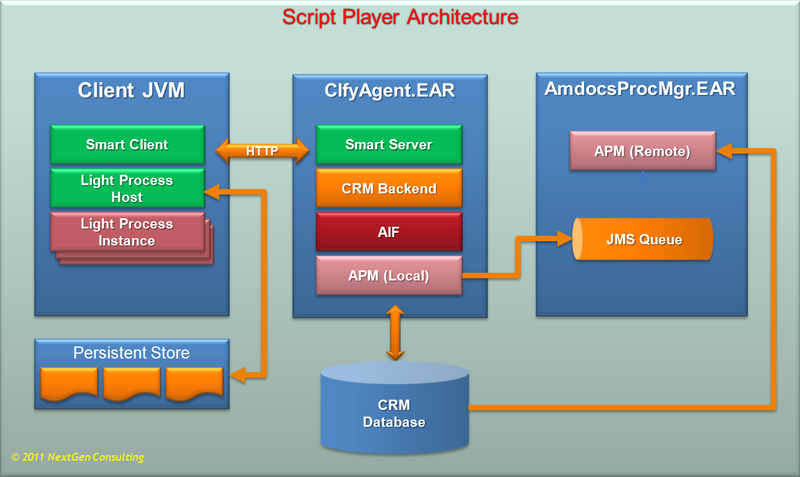 Amdocs Process Manager (APM) Design tool is used to define the Script metadata. 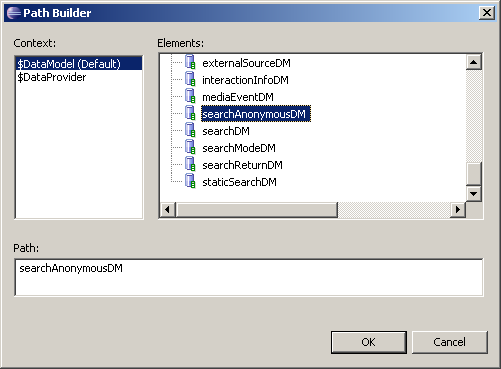 APM Client interacts with APM Server to get the metadata to the client and maintain the state. The CPDUI Action communicates with APM client, to either start or proceed with a client process. Whenever the CPDUI needs user interaction, it yields back to itself and pass required inputs (process variables). The action processes the inputs and dynamically generates and posts a ‘script form’ for user response. The target form can have another CPDUI action, which collects and validate user inputs associated with the action and submit the details back to the APM client. To facilitate communication between the APM client and the CPDUI action, the process variables in the APM client are mapped (at design time) to the Data models in the next launched (target) form. When APM client is running along with Smart Client, APM client interacts with APM server (via Smart Client and Smart Server) to get Light Weight Process metadata or to invoke a service (AIF service or any other service) as part of the process execution. In fact – The Smart Client acts as a host for running Light weight processes. Smart Client normally uses a Submit Action to submit to the server and get the response back. This functionality is utilized for retrieving the metadata and invoking any server side service. Similar to the PDUI action, the Client Process Driven UI Action launches a form based on the logical form name (LFN) input data section. 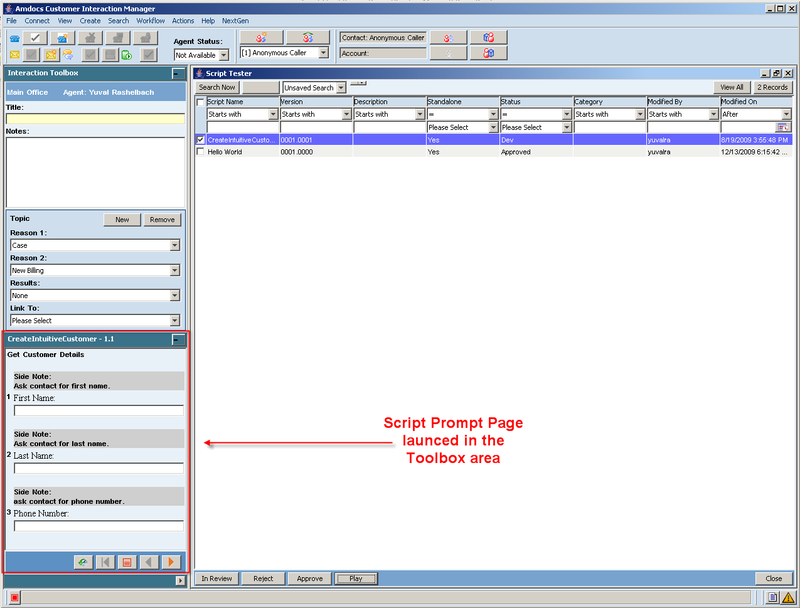 At script design time, the Script Designer refers the form’s input data section as show context area. At run time, any input retrieved from the process can overwrite the form’s default launch action properties. After getting response from the process, the Client Process Driven UI Action always invokes a launch action to launch a form based on inputs from the process, except when the process’ return status indicates abort/completed. If the process returns with completed or aborted state, then it sends a message to its opener form indicating the new status. If this action is overloaded by a PDUI action, (in case the lite process was part of a server process), then, it invokes the dynamically created PDUI action and passes the ‘proceed context’ details (to allow the original server process continue). The execution of the Client Process Driven UI Action is considered ‘done’ after the action launches the form or if the process is completed or cancelled and the action sends a message to its opener forms. The action passes the Lite Process Instance (LPI) got from a “GetProcess” operation to all the launched forms. LPI is stored as a property of the launched Smart Client form to allow all CPDUI actions in that form access this Lite Process Instance. At runtime, the process might call for a UI step. This UI step can either a show page step or prompt step. A prompt step uses a dynamic form generator to create the prompt form. The UifLiteProcessHost supports information storage (and retrieval) on the client’s disk. It also supports submitting server requests issued by the lite process instance. The Smart Client RequestResponseManager is used to submit request to the server. To get a Lite process instance from the process definition, the Client Process Driven UI Action calls the static API getLiteProcInstFactory(), which returns a process instance factory which is used to create an instance of a Lite process instance. A Lite process instance is an instance of a lite process definition downloaded from the APM server. The client can run multiple instance of the same process definition at the same time. For example, when user runs ‘Script A’ once, an instance of Script A’s LiteProcInst is created and used until the script is done. The inputs to get a client lite weight process are Process Name (mandatory) and Process version – (optional); If not provided, the latest version of the process is used. Accessing a client process involves getting the LiteProcInst (LPI) based on the lite process definition retrieved from the relevant APM client (CRM) database or from APM server. After getting the LPI, the defaultLaunchAction specified in the action is invoked. The default Launch Action should give a valid Logical File Name with any required input data. Additional input required for the process is information regarding the launched form; whether the form should be launched as a Main WORKAREA form or as a TOOLBOX form. The action fires an event including this information to the application code before launching the defaultLaunchAction. This allows the application code to take advantage of both potentially adding a LaunchMapItem, and pass this as an input to the launched form and use form version selector, which could return the appropriate physical form name to be launched on the WORKAREA or TOOLBOX. When launching the form (executing the defaultLaunchAction), the LPI instance is passed internally through the launch action to the launched form and cached. Any other CPDUI action in the launched form will always use this LPI instance for any other operation involving the same process, which means only a single lite process instance can be used on a form. 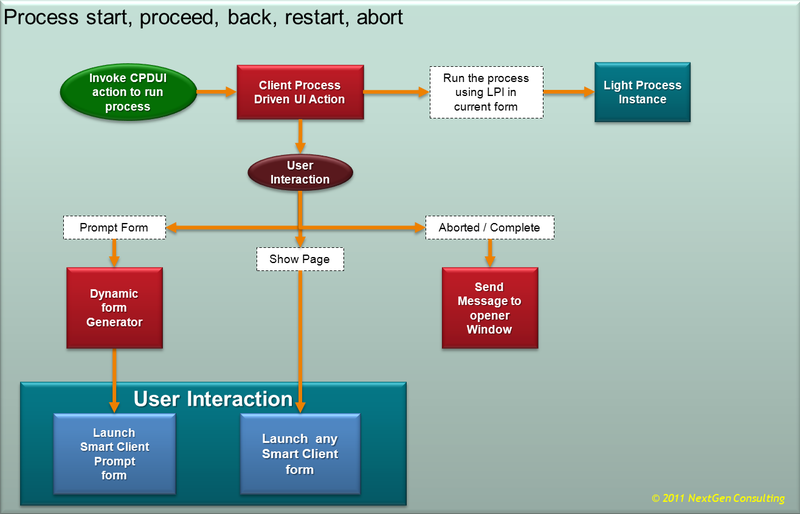 The Client Process Driven UI Action retrieves the Lite process Instance and the target launch area (where to launch this form – WORKAREA or TOOLBOX). The CPDUI pass this information to the defaultLaunchAction and executes the launch action. The launch action launches the script player form, and sets this Light Process Instance to scriptPlayerForm.LiteProcInst. If the client process was part of a server process, then PDUI action would dynamically create this action with operation “GetProcess” and use the ShowContext details to get the process name version etc. 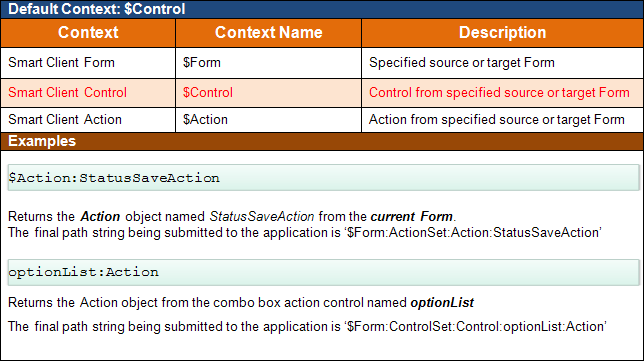 As already mention, the Launch action would pass the Show context data and Proceed Context data to the launched form, and if required, overload any existing action in the launched form as described by the Action descriptor. The Proceed Context can be passed back to the server after the client process is done. All operations other than “GetProcess” should not provide the process name, version as input. If the action’s operation type is set to one of Start, Proceed, Back, Abort, Restart or ShowLog, then the default Lite Process Instance which is already available in the Form (where the action is defined) is used. LiteProcInst provides APIs to run, proceed, back, cancel the process, which is used to perform the operation. Restarting the client process has to clear out the logs created so far, and initiates the process as if nothing happened in this process instance. A process can be restarted before it is complete. It can be done even after a child script is executed, in which case it goes back to the main process that was originally started by the user. Restarting is not possible, after a show page step. Calling the below API on the liteProcInst gets the log details. The output from the API can be set to a data model in the launched form and displayed as a list (See output processing below). ColumnControl is a property in GridColumn which specifies the contained UifControl for the GridColumn control. com.nextgen.GlobalUtils is the name of the Form. An expression is a single Boolean or arithmetic expression that can be evaluated by a special expression evaluation class. 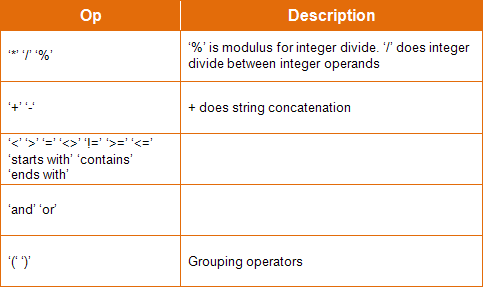 The operands in an expression are literals (numbers and strings), paths or functions. sub-expressions mechanism allows an expression to be defined once with a known name, and then re-used in other expressions. Expressions are a generalisation of the path concept that has always been in Clarify. There are several places in the application where a Boolean expression is stored in the database in three fields – path, operator and value. Expressions are stored as a single text field, containing the expression. All string comparisons are case insensitive. Expression use ‘contexts’ to read and write data. Its syntax includes functions, operators, operands, logical tests and literals. They can be created dynamically at runtime. Expressions encapsulate business logic easily without implementing complex processes. The processes become easier to build, manage, understand and maintain. Expressions overcome various Process Manager constraints. Business processes become easier to build, manage, understand and maintain by reducing need to extend code or datamodel. Expressions combine operands which take the form of paths, literals or other expressions. The following describes an expression. Uppercase and quoted elements are lexical constants. The values for UNARY are ‘-‘ and ‘NOT’. Unary has a higher precedence than OP. Takes a Collection-path which returns an array of objects (i.e com.clarify.webframework.CdoCol), iterates through each element from the array and assigning the element from the array to the context named $IterativeContextName. Then it evaluates the expression which may contain a DataPath with a context name of $IterativeContextName. The any function iterates over the row, access a value from each row and evaluates the value against some rule specified in the any function. As soon as a row from the table whose values cause the rule to evaluate to true, any function will return immediately with a true. The every function is the opposite of any function. As soon as a row from the table whose values cause the rule to evaluate to non-true, every function will return immediately with a false. The countWhere function iterates through each element in the Collection and for each element, applies the element from the context to the Expression and increments the total count value by 1 if the Expression evaluates to a boolean true, else no increment. The result from countWhere is an Integer object. any, countWhere and every take a Collection-path which returns an array of objects or a com.clarify.webframework.CdoCol, iterates through each element from the array and assigning the element from the array to the context named $IterativeContextName. Then it evaluates the expression which may contain a DataPath with a context name of $IterativeContextName. Multiple any/every functions are allowed in a single expression. countWhere returns a Integer object. If the Collection-Path expression returns null or unknown is set as a result of evaluating the expression, then unknown will be set to true and a Boolean false with be returned. Takes an expression returning a row set, and returns the count of rows. Returns number of defined flexible attributes based on flags value. Please see bellow for more details. Iterates through each element in the Collection and for each element, applies the element from the context to the Expression and increments the total count value by 1 if the Expression evaluates to a boolean true, else no increment. Returns the current date/time, using Session.getCurrentDate(). Subtract two dates, returning a signed number of units, default is seconds. Convert the expression to a number – expression should be a string or a number. Convert the expression to a Calendar. Convert the expression to a Date. Expression should be a string or a Calendar. Similar to toDate but returns value as a Date. Converts the expression (exp1) to a localized string. Exp2 and exp3 are optional parameters. If the object type for exp1 are: GregorianCalendar or Date Java class, then Session.toDateString is called. Exp2 will be PictureString parameter. If Exp3 is specified, then it will be the MaskString parameter. If the object type for exp1 is Money object, then Session.toCurrencyString is called. If the object type for exp1 are BigDecimal, Float, Integer or Double, then Session.toNumberString is called. Convert arbitrary strings to Focus Object. toFocusObject function can be used to convert arbitrary strings to Focus Object for passing to services. Exp1: can be either a database Object Name or an expression. If it is expression then it should be given in such a way that the evaluated result value of this parameter should resolve to a DB Object Name. Exp2: can be either a DB Objid or an expression. If it is an expression then it should be given in such a way that the evaluated result value of this parameter should resolve to an Objid of the row in the corresponding table. toFocusObject function takes 2 parameters. These parameters can be either expressions or they may be just a table name and Objid. If the parameters are expressions then it will evaluate these expressions and constructs a new Focus Object based on the evaluated values of the input parameters. Input expressions should be evaluated to the proper table name and corresponding Objid of the row. The return value of this function will be a FocusObject of type com.clarify.sam.FocusObjectImpl. It returns null if there is any exception. where an XVO parameter is needed. Convert an expression to a string. Uses Session.toString. Take the integer result of an expression, discarding the fractional part. Constants are defined as numeric, or string. All numeric constants must be represented in locale independent format. All string literal must be represented in locale independent format. #<nmToken> is identified as string literal whose value will be looked up in table_string_db in current locale using <nmToken>. Exception are thrown if lookup is failed. operand1 is null and operator is Mul/Div/Mod. There are some circumstances where a path cannot be evaluated. In these cases, the result of the expression is not known. For certain cases, it may be possible to default a value (for example Process Manager returns the first row when multiple rows are returned when a single row is expected). The field or item is not defined – A path tries to access a field (e.g. in a CDO or CBO), property or attribute that is not defined. When a path cannot be resolved, it will have the value unknown. Any expression involving an unknown value becomes unknown. Unknown is returned from the expression evaluator. 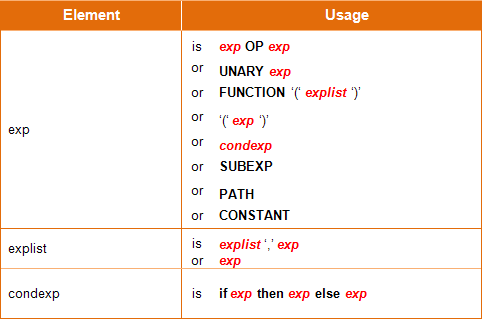 The followings list the exception type and conditions under which exceptions will be thrown by Expr. The Collection-Path is a hashmap that points to an array of hashmap. 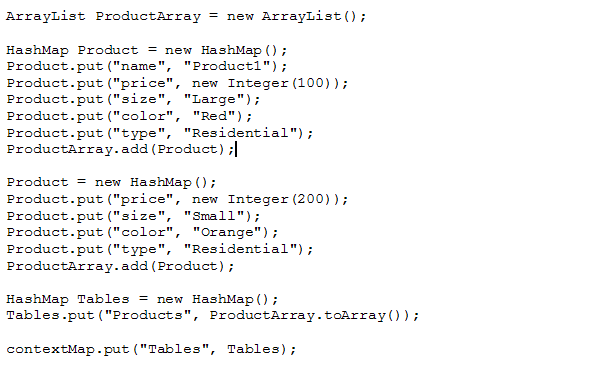 ‘Tables’ is a key in the contextMap and the value of ‘Tables’ points to a HashMap called Tables.The TablesHashMap has a key called ‘Products’ whose the value is an array of hashmap. The collection-path is a rowset path that returns an array of Focus objects (which points to a site schema type). $Focus is set to a case object. The collection-path, $CdoCases:openCases, returns a CdoCol which constains a collection of Cdo objects. $CdoCases is set to a CdoManager in the contextMap. Path is a DataPath that returns a valid focus object (with valid DbObjectName and objid). If an array of focus objects are return, countFlex returns the count for the first element from the array. If Path is the only parameter specified, then it returns the number of defined flexible attributes. eflags is an optional parameter, if specified, returns the number of defined flexible attributes whose flexible definition flags value matches (bitwise) with eflags. eflags can be any expression. If eflags < 0, then eflags is ignored. If enumType is not one of the above values, then the set should be the defined flexible attributes set. If enumType and eflags are defined and have valid values, then the flexible attributes set defined by enumType should be used to match against the eflags value. If Path evaluates to a valid path and focus object returns a valid object, then a count value is returned, else a null is returned and Unknown is set to true. 1) $Site points to a site Focus object. countFlex returns the number of defined flexible attributes. with eflags bit 8 (External System) set. (pre and post set). The flexible attribute set is restricted to attributes which have Data. 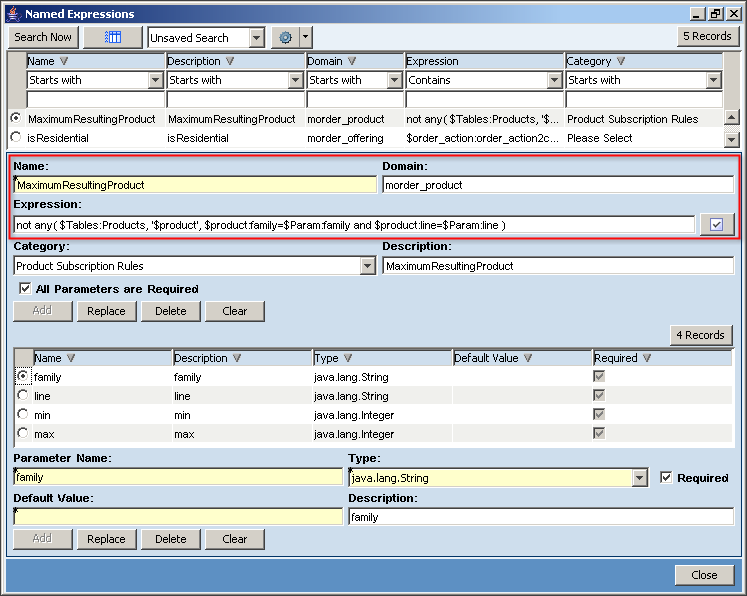 In order to facilitate an easy to use end user interface, expressions are able to contain named-expressions, stored in the database. A named-expression is denoted by a domain and a name. Optional parameter(s) can be specified with named-expression. 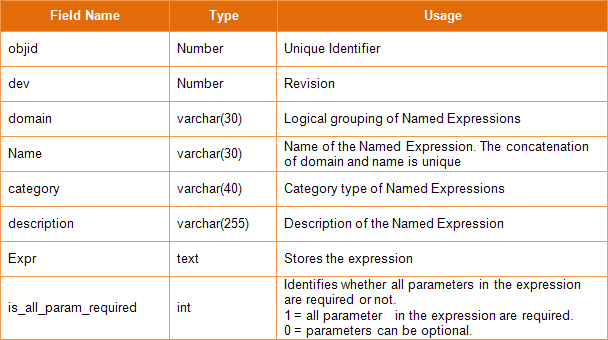 The domain is a logical grouping of named-expressions to enable different applications of the same name. Recursive Named Expression is not supported. <ParamName> is the parameter name. Multiple parameterized Named Expressions are allowed inside a single expression, but all ParamName must be unique within the Named Expression. Parameter name/value pairs are mandatory. For basic Java type (java. *), Expression do type checking and conversion to the type as defined in TABLE_EXPR.Type and throws an error if type checking or conversion fails. For non basic Java types, Expression just do type checking. To facilitate binding the identifiers from the Named Expression to the actual expression text defined in table_expr.Expr, parameter binding variables are created. This feature allows named expressions to contain optional parameters, which means if any parameter is not specified in the named expression, then default value of the parameter will be substituted in the missing parameter. If the default value cannot be converted to the expected data type then the result of the expression will be unknown. While parsing the sub expression, if parser finds any parameter is missing then it tries to get the specified default parameter value from table EXPR_PARAM.default_value. If it finds any default value for the missing parameter then it substitutes the default value in the missing parameter. If the default value cannot be converted to the expected data type then the result of the expression will be unknown. The above expression is same as the expression without optional parameter. The above expression assumes the default value of parameter DeptId is specified in the database. The above expression assumes the default value of parameter Territory is specified in the database. 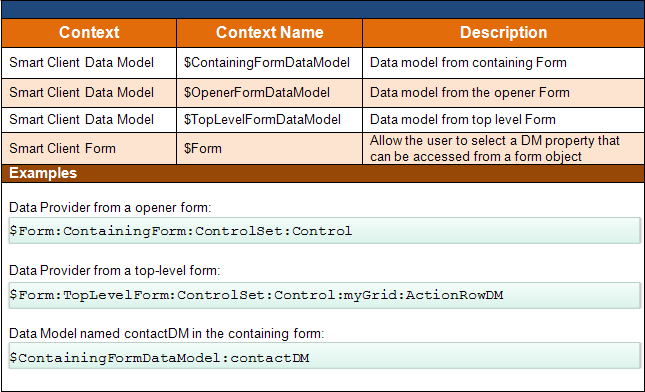 The above expression assumes the default values of parameters Territory and DeptId is specified in the database. Dynamic path modifiers, the Path modifier determined at runtime. A value assigned to the $Var. 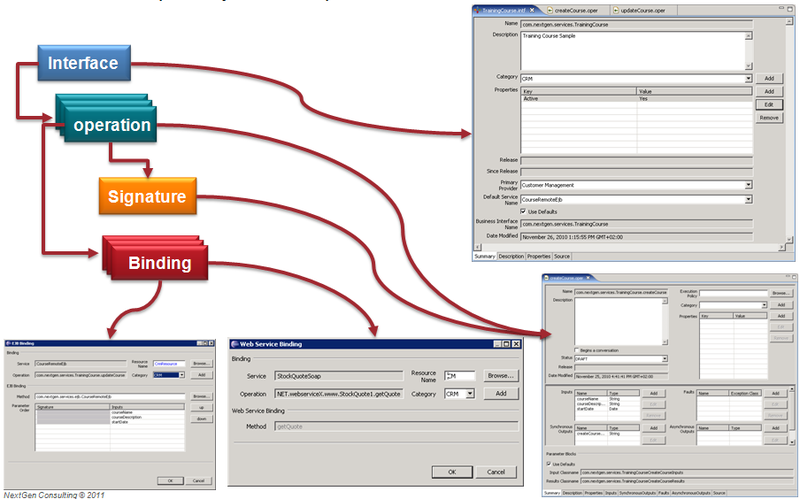 Set the process variable CasePath with the contents of Case title field. Expr object contains an array of objects which hold cached data path values. Attempt to get data path value from cache, if not present, and then cache it. Incrementally cache data path array values as they are iterated over. The cache is optimized — if data path values are not reused within the expression, then they are not cached. However it may not be possible to predetermine if data path values will be reused (e.g. reference path) so must cache it those cases. Array functions like ‘any’ and ‘every’ are iterates over the row, access a value from each row and evaluates the value against some rule specified in the function. When it iterates over the row the condition (rule) may have an expression and expression may refer to the same data path more than once. In these cases currently, when each time it encounters the same data path in the condition it calls Datapath.readItem API to read the path value. By caching the data path value once it read, then the next time when it sees the same data path in the condition (rule) then it will get the path value from the cache instead of calling Datapath.readItem API, so the performance of expression evaluation can be improved while handling array functions. While evaluating array function, when it first time encounters a data path in the condition it gets the path value by calling Datapath.readItem API and stores data path value in cache. It uses the key as a combination of Collection-Path plus column name of IterativeContextName plus iteration row number. For example, in the following example ‘every’ function iterates through each row and executes the rule. In this example data path $eachcase:title is refereed twice, so while executing each row first time it gets the path value by calling readItem API and stores it in the cache, then from the second time onwards for the same data path it gets the path value from cache. Cache will be cleared once the expression is evaluated and its lifetime is only for the current expression. The previous part Data Paths and Expressions (Part 1) described the data path concept and its usage in various areas cross the CRM and its peripheral applications. Database path contexts include paths with focus object as context, as well as absolute paths (Database contexts). BO context object can serve as focus object as well and the path can be a BO context path. In addition to the basic syntax, path relations can have modifiers, specified using round brackets ( and ) after the relation. Restricting a path or a portion of the path to a unique result. Resolving the starting point for an absolute path. 1. Restricting a path or a portion of the path to a unique result. Note role_name is unique for each contact / contact_role / site combination. Therefore this path will select a single item. 2. Resolving the starting point for an absolute path. 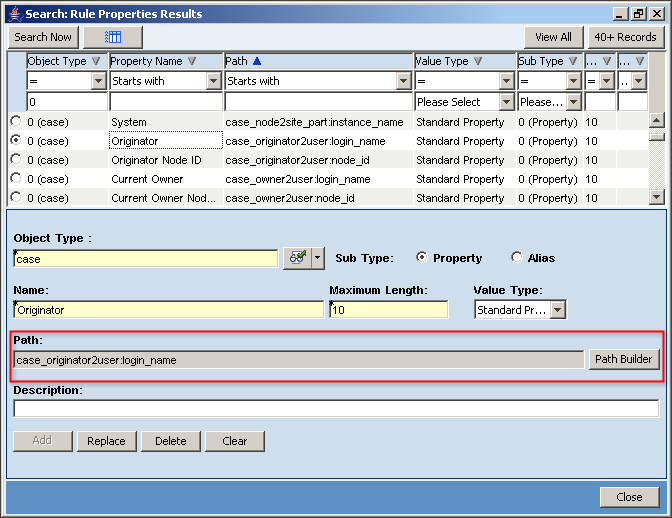 Property names are defined in the prop_name database object. The class CoreDataPath (amdocs.core.datapath.CoreDataPath) provides methods for reading and writing data using data paths. A data path defines the location of a data item within a specified context object. A path starts by identifying the context object, and consists of one or more path items, separated by colons (:), that lead to the required data item. This defines a data path using a context object named Var, with path items Customer and Address that lead to the data item State. The context object name is prefixed with a dollar sign ($). 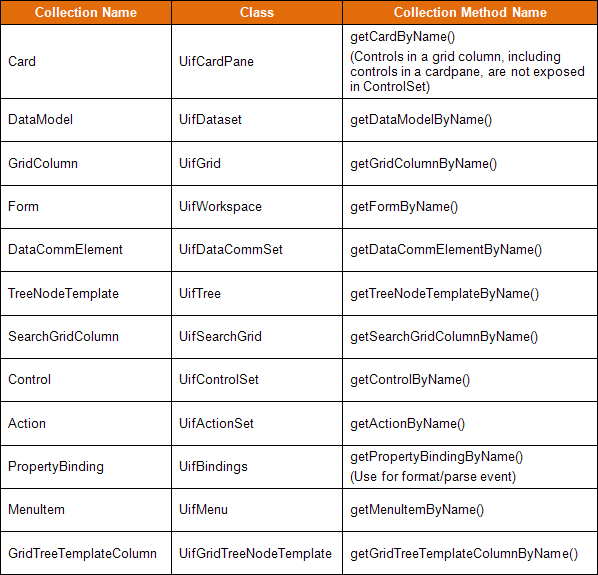 Context objects are passed to the API using a java.util.Map with the context names as the keys. 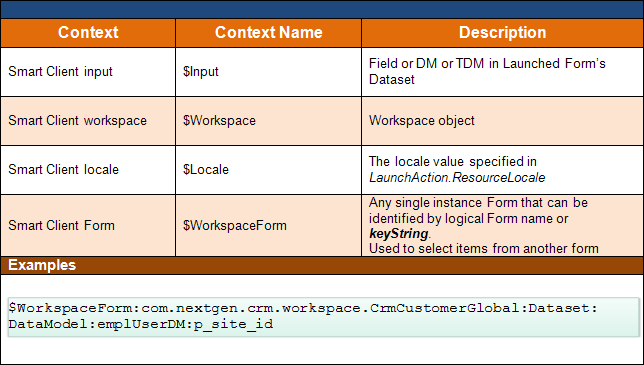 Paths that do not specify a context name use the default context passed to the API methods. The type of the context determines the mechanism by which the path items are evaluated. 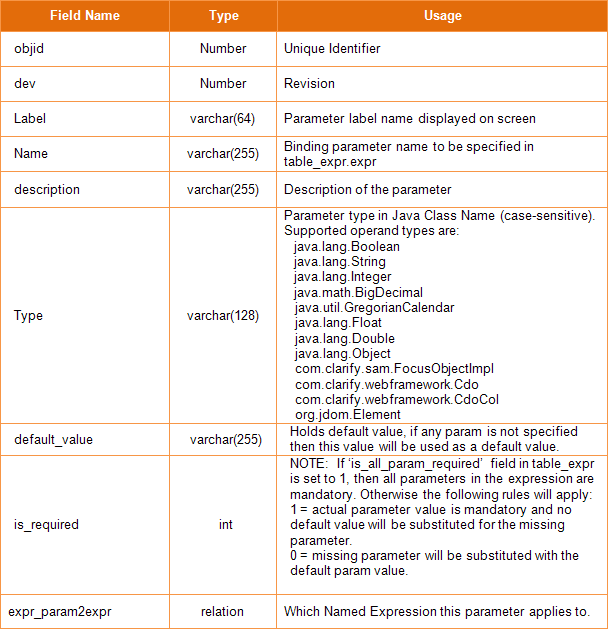 With the exception of JDBC paths, the appropriate evaluation mechanism is used to evaluate each item. JDBC paths use the reference path mechanism for switching between evaluation mechanisms – this is explained in more detail below. An indirect path is a path that defines a (String) data item that contains a path. Indirect paths start with a dollar, and must also specify a context name (the default cannot be inferred). Thus indirect paths start with “$$”. The path $Elem:State will evaluate to the string “$Var:Customer:Address:State“. The path $$Elem:State will evaluate to the actual state. The jdbcDatapath use JDBC mechanism to access external databases. This includes paths with focus object as context as well as absolute paths (JDBC contexts). Context name is used to resolve a Context object at runtime. The context type JdbcFocusObject ( amdocs.core.JdbcFocusObject) can identify JDBC data. JDBC database is configured as a SAM (Server Action Manager) resource and is identified by a resource name defined in ASC. The exact ASC node is /AmdocsCommon/Aif/Connections/SamConnection. Two types of JDBC data sources are used. LocalJdbc data sources use inproc JDBC API and the database driver is located on the same machine. ContainerManaged JDBC data sources have the drivers located on different server and have the benefits of connection pooling, J2EE transactions etc. 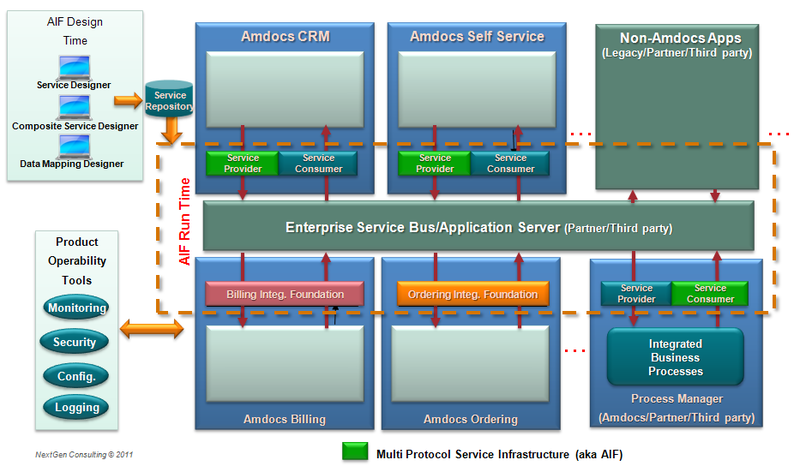 Amdocs CRM support both Local and Container Managed JDBC data sources. The jdbcDatapath is using JDBC mechanism to access external databases. This includes paths with focus object as context as well as absolute paths (Jdbc contexts). Context name is used to resolve a Context object at runtime. If the table name is empty or null then the path is considered to be absolute data path. If table name and table-filter are given, then the path is a relative path starting with the row identified by table-filter. The method JdbcFocusObject.isAbsPath() indicates that the path is absolute (a TRUE value). If it returns FALSE it indicates that the paths is relative. 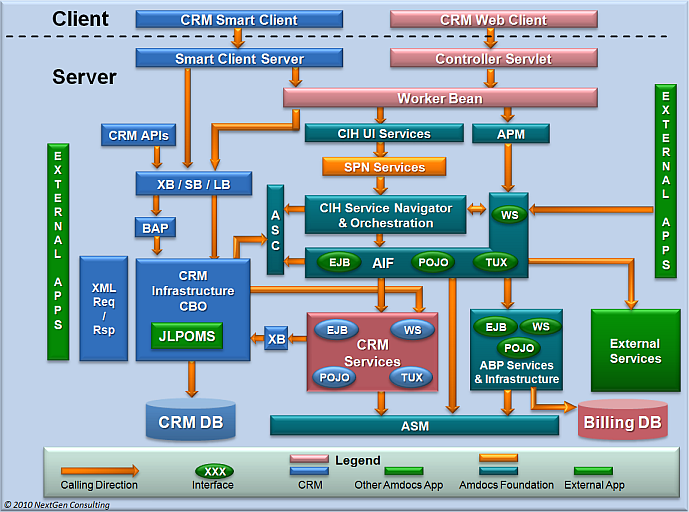 Amdocs / Clarify CRM databases have rich metadata for relations and prop-names. This simplifies datapath string specification. 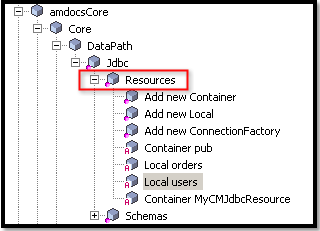 For JDBC databases, metadata for relations and prop-names are defined in the Amdocs System Configurtion files (Prior to release 7.5 it used to be provided in an external JdbcSchema.xml file). The metadata is optional. The syntax allows relation information to be specified in-place. If metadata is provided then a logical relation name can be given in the path. At runtime, datapath evaluats the relation name to physical relation information. For pre 7.5 releases JdbcSchema.xml must exist in same directory as ClarifyEnv.xml. A. Restricting a path or a portion of the path to a unique result. B. Resolving the starting point for an absolute path. RelationInfo is a path syntax element that defines how multiple tables are traversed. Each token specifies either the physical relation info used for joins or a logical relation name. If a logical relation name is given then the Context object provides an API to resolve this to physical relation info. First token is field list from previous table. Fields within a field list are separated by plus character. 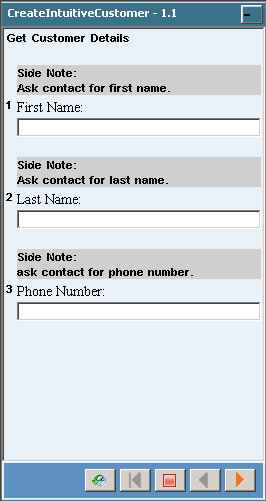 Typically the join includes one field from each table. But it is possible to have multi part join keys. An optional filter can be added. The filter applies to current table. Refers to the handset field on the attrition object, related by the age and city of the customer (assume that the focus table object holds the table customer with the filter name = ‘John Smith’). 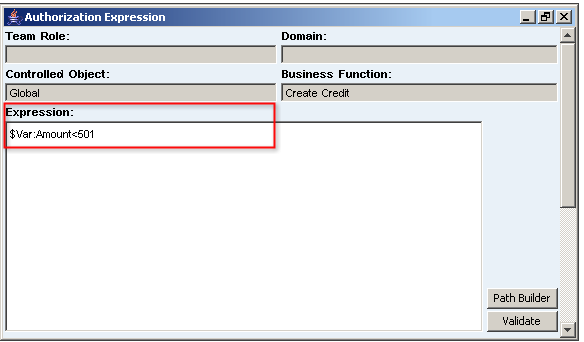 Refers to the field price plan on the customer object, where the customer id is 91460. This path selects a single item, even though it is possible to have more than one person named John Smith (since publisher name is unique for each employee). A reference path combines two paths into a single item. The second half defines a path from that JDBC focus object. The reference operator ‘->’ separates the two components of the path. Left hand side path of context operator must be non-database path and right hand side path must be Jdbc focus object based database path with no context name. Left hand side path of context operator must resolve to JdbcFocusObject to be used as context object for JDBC database path on right hand side of context operator. The Context name Var must resolve to valid context object instance at run time. The database defines books, their authors and organizations that deal with them. The role of the organization is one of “publisher”, “retailer” and so on. A relative path is used when the context object is a JdbcFocusObject. The context object identifies a row in a database table – the path specifies how to get data starting from that row. The simplest relative path consists of the context name, followed by a column name. If a join is through a one-to-many relation, a filter may be added to a relation to specify a unique row. If a join condition requires concatenated keys, the concatenation is made using the plus sign (+). Multi-part keys are specified using multiple plus signs. An absolute path is not used with a JdbcFocusObject. Instead, the context name must be one of the JDBC data source names defined in ASC (Amdocs System Configurator) repository by the Core/JDBC/DataSources node. The starting point of the path is a database. The first path item specifies a table name. returns an array of JdbcFocusObject with an entry for each book in the table. 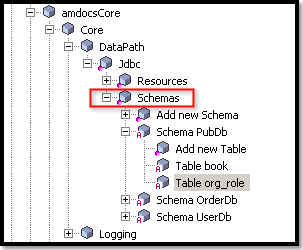 JDBC paths can be simplified by defining a logical schema in the ASC (Amdocs System Configuration) repository by the Core/JDBC/Schema node. 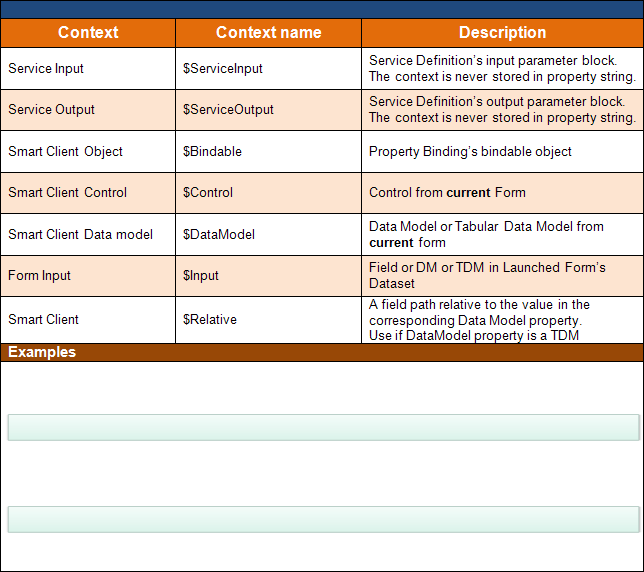 The schema defines relation names and property names. A property name defines an entire path. Note that an exclamation mark is used to introduce a property. If a property name contains invalid characters (spaces or colons for example) it must be enclosed in double quotes. A reference path consists of two parts, separated by ->. The first part of the path may use any context type, and must resolve to a JdbcFocusObject. The second part of the path is a JDBC path. If $Var refers to a Map, then theMap.get(“BookRow”) contains a JdbcFocusObject defining a row in the book table. The above path will return its author. An attribute can be extracted from the Servlet request using an @ in front of the path item. The second identifies the name of the item. The $Dataset context type, represented by a java object which is an INamedCollection, contains a collection that can be accessed by getDataModelByName(“myDataModel”). A DataPath is a mechanism for defining data stored in a database (Amdocs CRM database or external database) or application memory structure such as Smart Client. 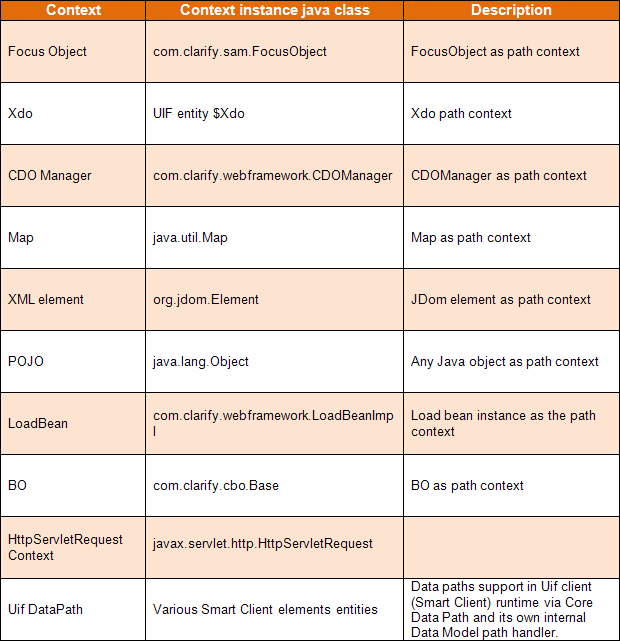 Data path may describe a database field, XML Node, HttpServletRequest, BO, LoadBean, any POJO (Plain Old Java Object) or run-time data structure such as Java Map, Xdo or Cdo. The data path is defined relative to a known starting point known as the context object known also as Focus Object. Fixed context – these are global and not runtime dependent. Run time context – names that must resolve at run time to context object instance. The focus objects is not explicitly part of the path but is determined by context. For example: the focus object for a Case query is Case, for a Subcase query it is subcase, for a Smart Client form it is a reference to a specific form. Where are Paths used in CRM? Paths and Expressions are widely used both at servers and clients across the CRM environment and its complementary peripheral applications such as Smart Client and Process Manager. 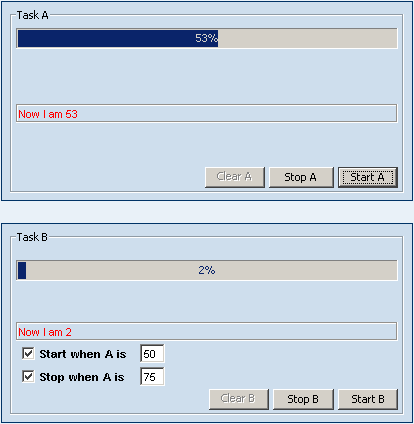 The following example shows a path used within an Auto Destination Rule. The implicit focus object here is the Case object. The Case focus object is explicitly defined in table_rule.title field. This example shows the use of a path within a condition expression defined for selecting the form version to be displayed. The focus object is $WorkspaceForm. Path used as part of an expression which defines conditional authorization role. The focus object is $Var. The focus object in this example is the table ‘con_bus_role’. The path filter a role related to specific address identified by a Vo primary key (objid) passed from the client. The following example shows a path used within a routing rule. The focus object (called here ‘source type’) is a Case. The following example shows a path used within an extended filter to describe named properties (called here ‘friendly name) which define business entities by their absolute path from the focus object – a view named opp_view_xfilter. 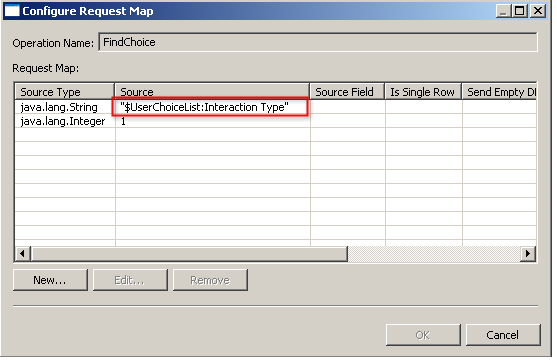 See also Version Selector, Conditional Role Base Authorization, pre-filter and Routing-Rule examples. 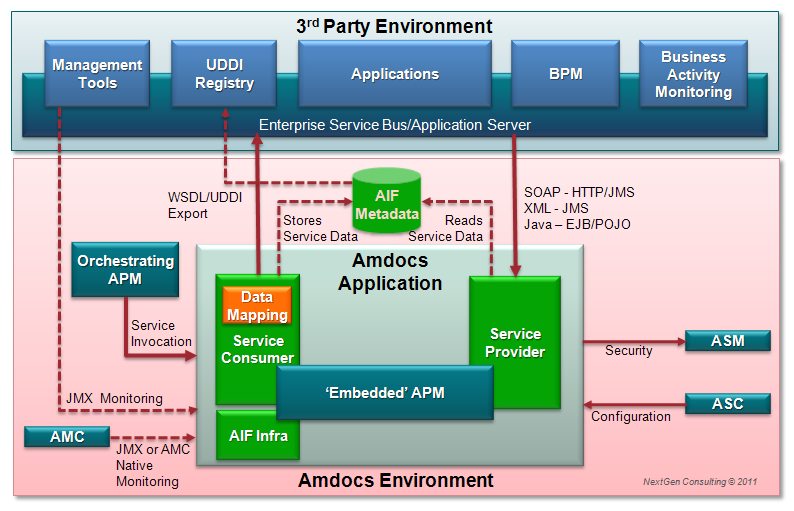 Amdocs Integration Framework provides a common, uniform and standards-based integration foundation for implementing integrations between Amdocs applications, and integrations between Amdocs applications and non Amdocs applications. AIF provides data mapping, logging, auditing and monitoring infrastructure independent of the application code. A simulator is provided to facilitate client unit testing. It is monitored by JMX. These are the input, output and faults parameters which are defined for an operation. The signature refers to the names and types of these items, but not to any specific order (parameter ordering is typically required only for RMI protocols). A logical grouping of operations. An interface corresponds to a Java class or interface. Consumer application code uses the service consumer API to invoke a service operation. The consumer is unaware of who provides the service, where they are located, or how the service is invoked. 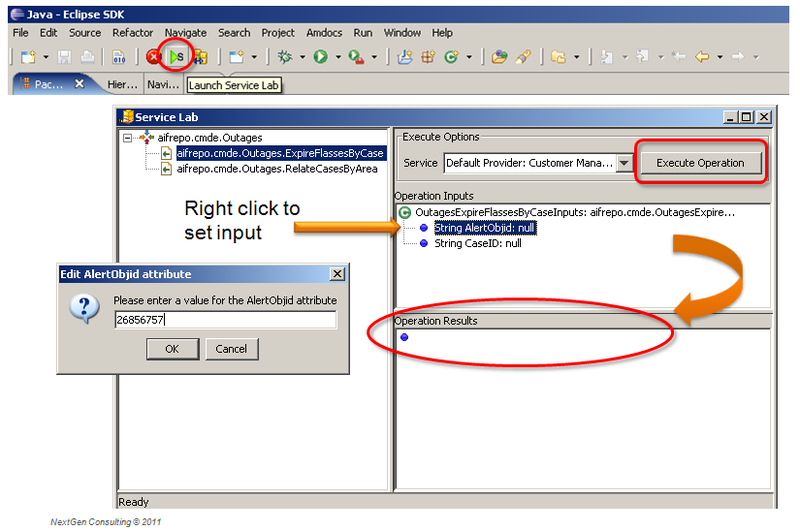 Service Definitions are edited using an eclipse plug-in. They can be created manually, by importing EJB interfaces or by importing WSDL. 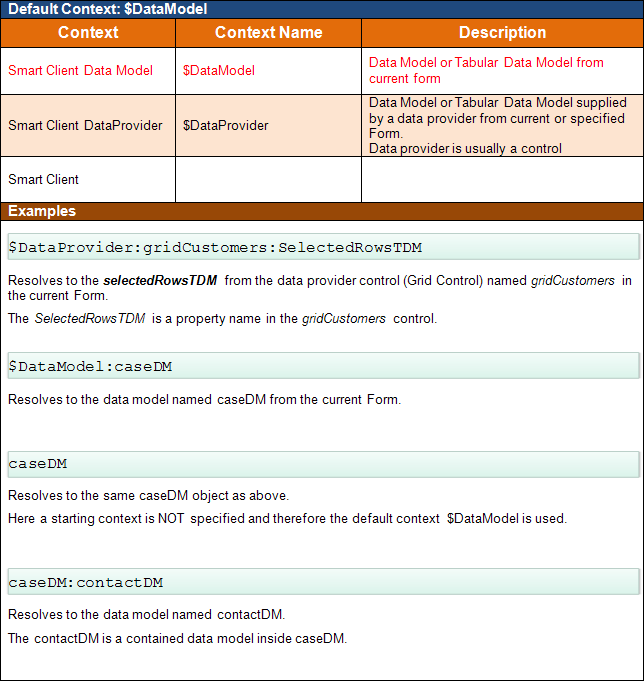 The Service data model is based on WSDL2.0. 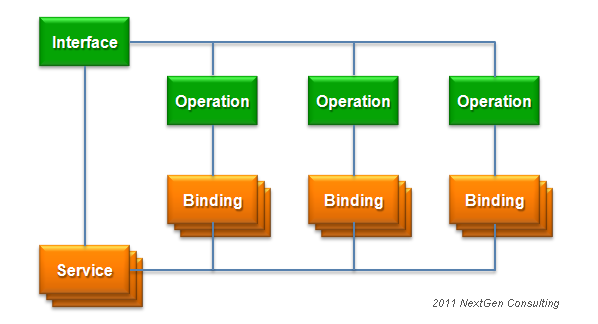 Binding represents physical attributes of an operation within a Service. Each Operation within the Interface has a corresponding Binding within each Service. Static design-time definition which define the contract, implementation and protocols. 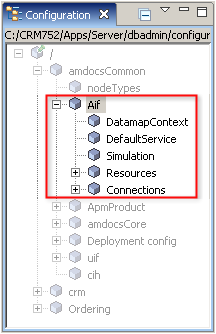 Dynamic run-time deployment configuration, defined in the AIF repository. The run-time configuration data can be changed independently of the AIF repository, giving operational flexibility. The AIF plug-in for Eclipse provides a full blown UI for creating, testing and deploying AIF services. Q: How to enable/disable menu bar in workspace? Is there any way to enable/disable menu bar in the workspace programmatically? A: You can selectively enable / disable specific menus. 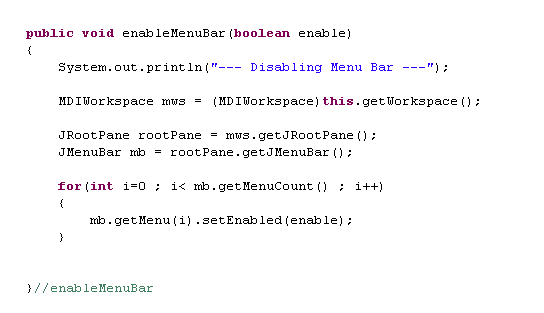 Use the following code to disable the entire menu bar. When designing an application front end UI, it is always highly desirable to provide friendly, intuitive and pleasant user experience while they are interacting with our application. One of the most annoying phenomena happens when the UI seems to be freezed while waiting for a lengthy task to complete. In order to enhance user experience and avoid possible frustration, it is recommended to provide an interactive visual feedback which continuously updates the human user about the current status of the task, while allowing them to continue free interaction their UI. In the following example I shall demonstrate how to divert a task to a separate thread and allow the user to continue interacting with the UI for other tasks. I shall also show how two independent front end tasks can interact one with each other without interfering UI operations. We provide IT consulting services to organizations that use either Microsoft Dynamics CRM or Amdocs CRM (or legacy Clarify) platforms. Our people have hands-on implementation expertise with implementing various business processes using rich selection of front end technologies such as Microsoft Dynamics CRM and Amdocs CRM (Smart Client, thin client, and Clarify Classic Client). We can use this expertise to help your organization migrate existing legacy application to a newer platform, or simply provide any level of design (high level, low-level) and implementation to fit your organization needs. Join our LinkedIn Smart Client Group to get immediate updates and share your ideas, needs and comments. See more on Yuval Rashelbach.